Mole crickets, Gryllotalpa orientalis, have a pair of fully specialized forelegs for burrowing and employ an efficient underground excavating pattern, which provides excellent biological example for design of bionic underground excavation equipment. In this study, the excavating pattern and kinematic features of mole crickets were obtained by using high-speed motion capture system and employing a transparent hydrogel as the analogue for soil. The two-dimensional motion characteristics of the forelegs of mole crickets during burrowing were captured and analyzed. The results show that the forelegs of the mole cricket employ a unique excavating pattern, which consists of foreword digging and horizontal expansion. We label this pattern a digging-expanding mode. An excavating cycle includes the digging and expanding motion of the forelegs, rotation caused by the midlegs and hindlegs, and forward thrust by the hindlegs. The excavating motion of the left and right forelegs is alternately carried out. 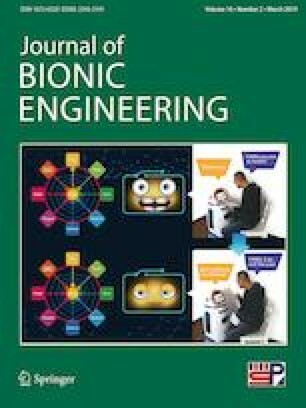 This study can inspire the design of bionic tunnelling mechanisms and underground excavation equipment. This work was supported by the National Natural Science Foundation of China (Grant Nos. 51405341 and 51505332), and the Tianjin Research Program of Application Foundation and Advanced Technology (Grant Nos. 15JCYBJC19300, 15JCQNJC06900, 14ZCDSY00010 and 16JCZDJC35900).